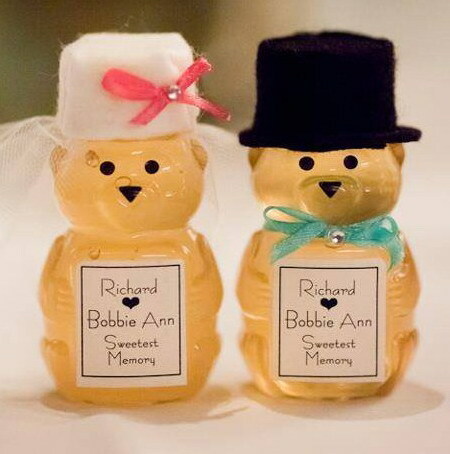 These perfect little 2oz honey bears are filled with wildflower honey to make your special day have a lasting and sweet impression. 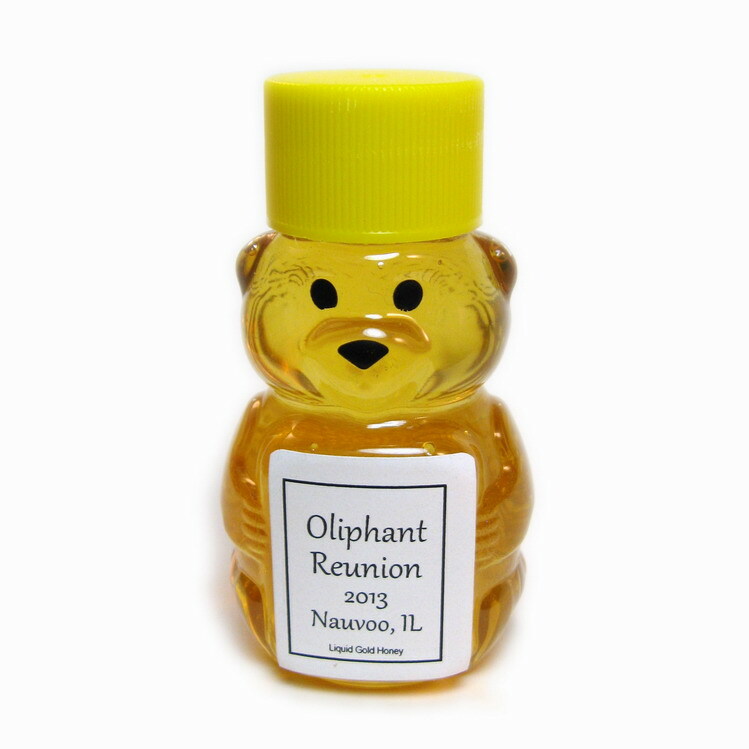 We customize the label, allowing you to promote your event, business, web site, phone number, slogan, business, special occasion, baby shower, wedding shower, tea party, baptism, wedding favors, or just about any other idea you would like to put on there. Or you can just stick with our logo and use as stocking stuffers or little "thinking of you" gifts. This bear is also perfect for tea and coffee drinkers on the go, because it will fit in your handbag. 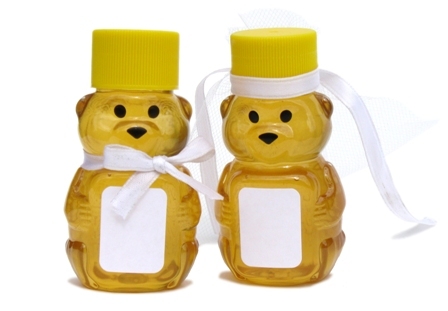 Just email us at Sales@LiquidGoldHoney.com with your label idea and we will go from there. We do text based labels primarily. If you want a graphical label you will need to provide the graphic (.jpeg). Customization should not take more than a week. Let us make your event stand out from the crowd and be remembered. These labels are small (because the bears are small) measuring about 1 inch wide and 1.25 inches high. Text per line can be 12 characters in an 8 point font or 8 characters in a 12 point font, 3 or 4 lines maximum. We will be happy to email you photos of sample labels. We only customize the labels. If you want ribbons, hats, or veils we can do those for an additional 50 cents per bear. 2 oz bear size is approximately 3 inches tall by 1.5 inches wide, with label size approximately 1.25 inch high by 1 inch wide. Minimum order of 30, $1.90 each. Orders of 50 to 99, $1.80 each.